The electro-harmonix Crying Tone wah is the wah Buck Rogers would have used in his pedalboard. With futuristic ideas and a spacey look, this pedal is poised to take over the world. Unlike other wahs on the market, the Crying tone has NO MOVING PARTS. Yep, you read that right, no pots, no footswtich, no gears. Nothing to move and wear out. What you do get is a well-designed, classic, throaty wah tone. But that's not all, depending on how you calibrate the Crying Tone you can get a half-cocked filtered wah tone, a choppy, square wave wah, and even a treble booster. This is better than any ray gun Buck had. 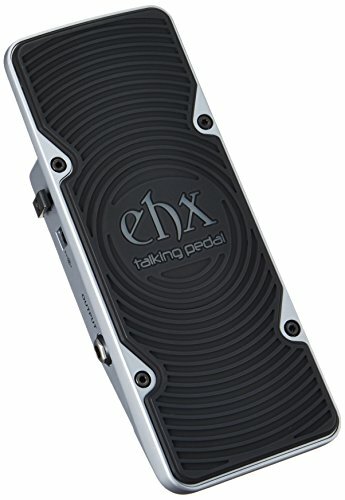 Bring your pedalboard into the 21st Century with the electro-harmonix Crying Tone wah pedal. If you have any questions about this product by Electro-Harmonix, contact us by completing and submitting the form below. If you are looking for a specif part number, please include it with your message.